suspect ghostwriting project. He becomes so wrapped up with the work and its unusual author that, soon, his previously placid life begins to come unraveled.As Aomame’s and Tengo’s narratives converge over the course of this single year, we learn of the profound and tangled connections that bind them ever closer: a beautiful, dyslexic teenage girl with a unique vision; a mysterious religious cult that instigated a shoot-out with the metropolitan police; a reclusive, wealthy dowager who runs a shelter for abused women; a hideously ugly private investigator; a mild-mannered yet ruthlessly efficient bodyguard; and a peculiarly insistent television-fee collector.A love story, a mystery, a fantasy, a novel of self-discovery, a dystopia to rival George Orwell’s—1Q84is Haruki Murakami’s most ambitious undertaking yet: an instant best seller in his native Japan, and a tremendous feat of imagination from one of our most revered contemporary writers. series, and the Middle School series for children. He has won numerous awards including the BCA Mystery Guild's Thriller of the Year, the International Thriller of the Year award, and the Reader's Digest Reader's Choice Award. He also made The New York Times Best Seller List for 2012 with his title I Funny: A Middle School Story and again in 2013 with his title Middle School: Get Me Out of Here!, 12th of Never, Alex Cross, Run, Confessions: The Private School Murders, Cross My Heart and The Christmas Wedding. Patterson is the co-author of Guilty Wives (2012) and Mistress (2013) with David Ellis. First Love, co-authored with Emily Raymond, made the New York Times bestseller list in January, 2014. James Patterson co-authored Private L.A. with Mark Sullivan and it made The New York Times Best Seller List in March 2014. Patterson also made The New York Times Best Seller List with Unlucky 13, Invisible, Treasure Hunters: Danger Down the Nile, and children's title Ultimate Showdown, book 5 in the Middle Scholl Series, in 2014.Author Haruki Murakami was born on January 12, 1949 in Kyoto, Japan, and most of his youth was spent in Kobe. Murakami's parents both taught Japanese literature. Murakami studied at Tokyo's Waseda University. He opened a coffeehouse/jazz bar in the capital called Peter Cat with his wife, Yoko. He later turned to writing full time following the publication of his first novel in 1979, Hear the Wind Sing. 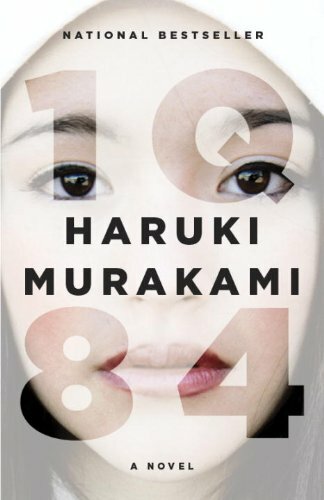 Murakami received national recognition for Norwegian Wood and is considered by many to be an important figure in postmodern literature. His fiction is described as humorous and surreal, and the themes of alienation and loneliness are often present in his works. Several of his stories have been adapted for the stage and as films. Murakami has also written nonfiction, including works dealing with the Aum Shinrikyo subway gas attack, as well as a collection of essays about his marathon and triathlon experiences, What I Talk About When I Talk About Running. He has translated into Japanese literature written by F. Scott Fitzgerald, Raymond Carver, Truman Capote, John Irving, and Paul Theroux. Murakami has received numerous literary awards, including the Franz Kafka Prize for his novel Kafka on the Shore and the Yomiuri Prize for The Wind-Up Bird Chronicle. In January 2009 Murakami received the Jerusalem Prize. His title Colorless Tsukuru Tazaki and His Years of Pilgrimage made the New York Times bestseller list in 2014.